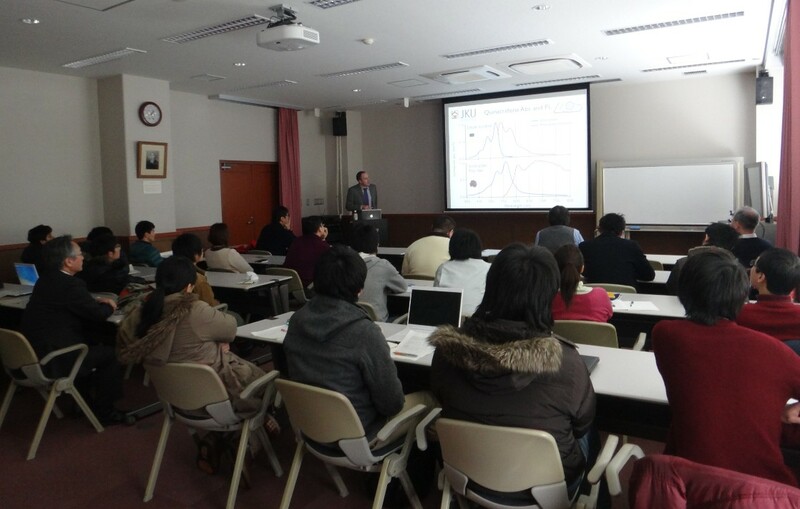 On February 22nd, the 54th ROEL Lecture Session was held in Seminar Room ("Hata" Hall) on the 3rd floor of International Bussiness Development Research Center. 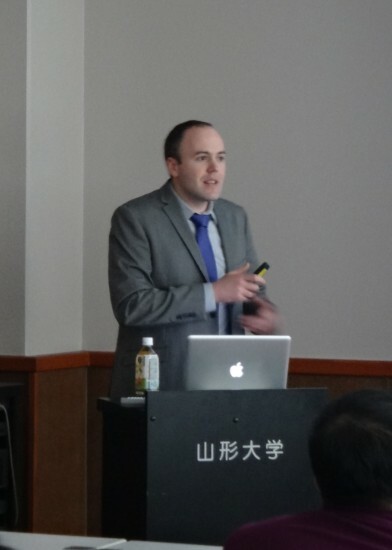 We invited Dr. Matthew White from Johannes Kepler University of Linz as a guest speaker and he gave a presentation entitled "Current research topics from LIOS: “Hydrogen bonded organic semiconductors” and “Ultrathin organic electronics."" More than 20 researchers and students attended to the lecture and it finished in success. *We will also have a short presentation session given by students in the same room right after this lecture.